Indonesian police who used a large snake to terrorise a handcuffed boy is reflective of “a widespread pattern of violence” against indigenous West Papuans, a United Nations panel of experts has said, calling for investigations into numerous cases of violence, unlawful arrest and mistreatment. 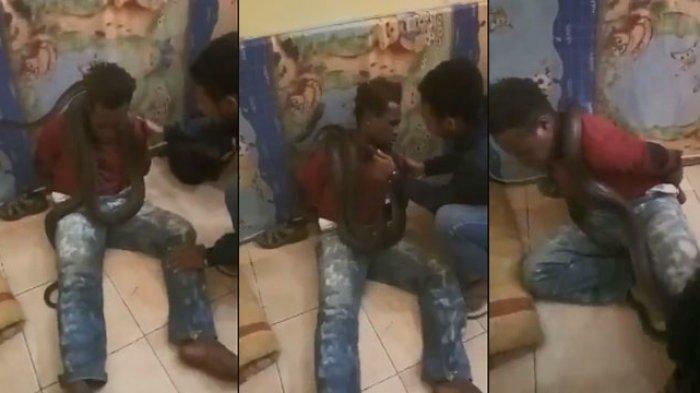 Earlier this month a video emerged of Indonesian police interrogating a young boy, in handcuffs and on the floor, while officers wrapped a large snake around him. The boy, who had been arrested for stealing a mobile phone during a crackdown on petty crime in Jayawijaya district, became increasingly distressed, screaming in fear as officers laughed. A human rights lawyer, Veronica Koman – who circulated the video – said the interrogation methods were torture and violated police policies and several laws. 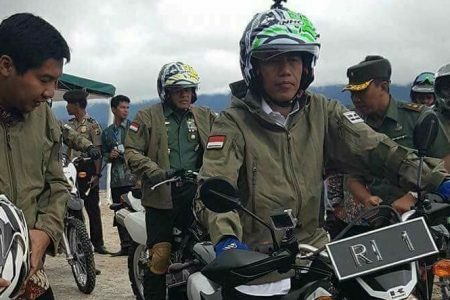 The widely circulated video prompted a rare apology from Indonesian authorities, who said the officers involved had been moved and given ethics training. However, in a statement on Friday, the UN panel called for prompt and impartial investigations. 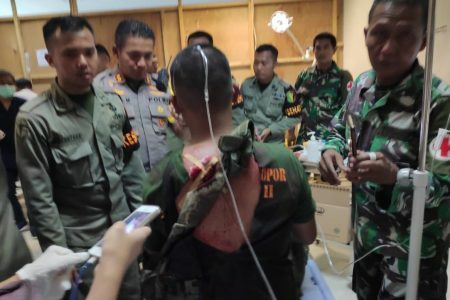 “This case reflects a widespread pattern of violence, alleged arbitrary arrests and detention as well as methods amounting to torture used by the Indonesian police and military in Papua,” it said. The UN panel comprised special rapporteurs and working groups on the rights of indigenous peoples, on arbitrary detention, human rights defenders, torture and cruel, inhuman or degrading treatment, and on contemporary forms of racism and discrimination. Special rapporteurs and working groups are volunteer experts working within the Human Rights Council’s independent fact-finding and monitoring mechanism. Benny Wenda, the exiled leader of the West Papuan independence movement, welcomed the statement and claimed it as vindication of the long-running civil conflict which has seen claims of an estimated 500,000 killed. 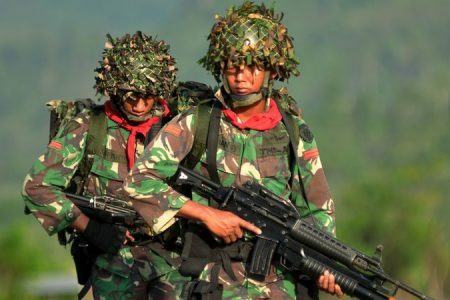 Although the UN statement was prompted by the incident with the snake, it comes several months into a violent escalation of the West Papua conflict. In December separatists attacked a construction and military post in the Nduga province, killing at least 17. The rebel army claimed the victims were all Indonesian military, but Indonesia said they were civilians. 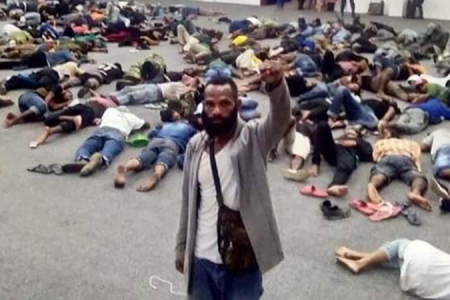 The attack was just days after Indonesia arrested more than 500 people, reportedly including Indonesian supporters, at West Papua independence rallies across the archipelago. In the ensuing crackdown in Nduga, Indonesian authorities were accused of using white phosphorus on civilians, a claim Indonesia labeled “totally baseless, non-factual and gravely misleading”. In the Friday statement the UN panel also urged the Indonesian government to act urgently to prevent “excessive use of force by police and military officials involved in law enforcement in Papua”. Earlier this month Wenda accompanied a Vanuatu delegation to meet the UN high commissioner for human rights, Michelle Bachelet, and gave her a petition signed by 1.8 million of his people, calling for a UN investigation into allegations of human rights abuses and for an internationally supervised vote on independence. Indonesia condemned the Vanuatu delegation for allowing Wenda to “infiltrate” the meeting. This article was amended on 24 February 2019. The original version said an estimated 500,000 people had been killed in the long-running civil conflict.